[S]eeking damages for breach of contract. 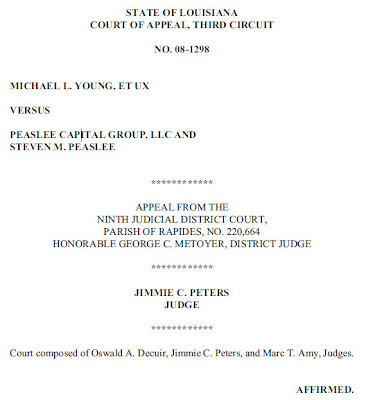 The petition asserted that, in December of 2001, Mr. Young paid Steven M. Peaslee $10,000.00 for an option to purchase a ten percent interest in Peaslee Capital Group, LLC (Peaslee, LLC), and that approximately one year later Mr. Young exercised the option by paying Mr. Peaslee an additional $140,000.00 for the stated interest. The Youngs sought recovery of their purchase price; general damages for emotional distress and humiliation, as well as loss of business reputation; attorney fees; and costs of court. mr. peaslee's reply was that the firm's "operating agreement governing the ownership of peaslee, llc required that all disputes be submitted to binding arbitration." ultimately, the arbitrator awarded the youngs' the sum of $75,978.00, together with judicial interest from date of demand in arbitration until paid in full and twenty-five percent of the principal and interest as attorney fees. the award further assessed costs of the arbitration process between the two parties. surprisingly, or not, mr. peaslee then proceeded to object to the arbitration. asserting that "the arbitrator was arbitrary and capricious (1) in awarding the youngs attorney fees and (2) in requiring a lump sum payment rather than payment in installments as provided by the operating agreement." ninth judicial district court judge george metoyer, however, "granted the youngs’ motion to confirm the arbitration award in full. the trial court rendered judgment without issuing oral or written reasons for its judgment." Arbitration proceedings are governed by La.R.S. 9:4201 et seq., and the statutory grounds for vacating or modifying an arbitration award in whole or in part are provided in La.R.S. 9:4210 and 4211. In addition, a litigant may attack the arbitration award on the basis of “a manifest disregard of the law,” a judicially created ground for vacating an arbitration award recognized by several courts of appeal. Arbitration is favored in Louisiana. Furthermore, an arbitration award is res judicata. 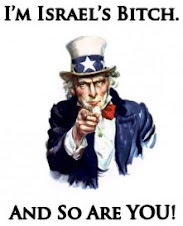 Unless grounds for vacating, modifying or correcting the award are established, the award must be confirmed, and the burden of proof is on the party attacking the award. Absent the existence of any of the statutory or jurisprudential grounds for vacating or modifying an arbitration award, a reviewing court is prohibited from reviewing the merits of the arbitration judge’s decision. Further, a reviewing court may not substitute its own conclusions for that of the arbitration judge. the third circuit complains about not having a complete but only a partial record and goes on to cite oliver v. cal dive int’l, inc., [605 kb ten page .pdf here or here] a 19 september 2003, first circuit court of appeal opinion as precedent that "there is a presumption that the arbitrator’s award is correct in the absence of a record." the third circuit in the footnotes, said that, "while we recognize that this is an arbitration record controlled by the procedural rules applicable to arbitration proceedings, we also note that no effort was made by the defendants to obtain a narrative of the facts as allowed by La.Code Civ.P. art. 2131. Given the record before us and the content of the pleadings made available for review by this court, we can only apply the presumption found in Oliver, 844 So.2d 942, that the arbitrator’s award is correct. Accordingly, we affirm the trial court judgment in all respects. so it looks like the youngs' put up $150,000 and got back $75,978.00. thats not a good return in anyones book.